As I have made the rounds and spent time with old friends and family, one of the things I have noticed is we all need an ear to hear our life stories. Being a good listener is something we must practice and develop. I do not think any of us are born with a genetic predisposition to listening. 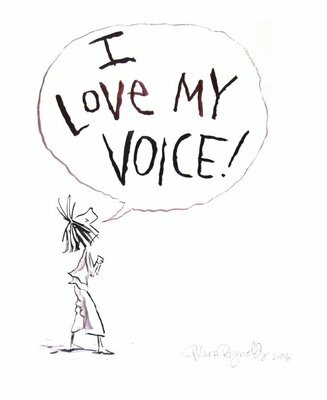 We all like the sound of our own voices far too much. Listening is a learned art. As I began to ponder how we love to hear ourselves talk, I thought about the fact that we do not sound the way we think we do. When we listen to a recording of our own voice, we are shocked and surprised that it does not sound the way we hear ourselves. 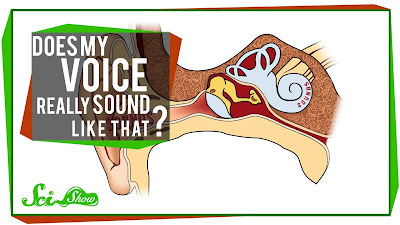 There are a combination of factors that cause this--all other sound reaches our inner ear through sound waves transmitted through the air. Our own voices are heard through these same sound waves, but also the internal vibrations of our vocal chords and airways. 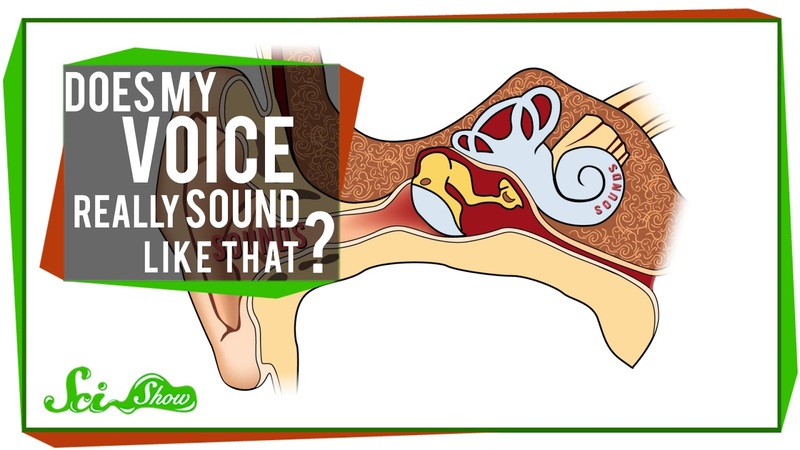 This distorts the sound and causes us to "hear" a different sound than what is actually heard by others. Perhaps this is why we need someone to listen to our stories--we need an objective interpretation of the story---NOT how we perceive it. Internal influences--our perception, our biases, our heart, our prejudices--on and on -distort the story we hear. When we talk through life with another, we may begin to realize this is not what I thought. I have allowed my personal perception of reality to cloud the truth. Often we don't really need any feedback from another, we only need to give voice to our story to realize we have gotten off track from the truth. Other times, we must have the feedback--take it and mull it over--and then realize our version of our voice is not the complete truth. Either way--clarity is gained by having someone you trust to bounce the story off of. 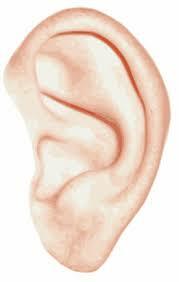 God gave us ears to listen--what a precious gift. How we listen is up to us! Years ago I ran a managerial course on Listening Skills. We all hear all sorts of things - the sound of traffic outside, the sound of a radio or TV switched on, the birds tweeting outside. We do not listen, because listening involves our active participation to/with the sound being made. A mother listens straight away to the sound of a baby crying and reacts accordingly. An employee listens to his boss because of the importance of the person speaking to Him. People listen to their wives (sometimes) out of fear of the mother-in-law. Although I wonder why not many people listen to God. As a general rule we do not listen because we are too busy with our lives to want to really listen to other peoples' problems, worries, fears etc ... We treat them as wingeing, whining and behaving like a baby. We have two ears to listen with as well as hear with. Except for a man I met the other day. He had a third ear, would you believe, on his forehead. Right there above his eyes ... on his forehead ... he had an ear. I asked him about it and he said he was an allien from the "Final Front Ear". You GOT me! LOL! And then there is your profound statement, "Although I wonder why not many people listen to God." This entry bought home our most recent journey. Chaco Canyon in Northwest NM. Indian reins of many many years ago. One morning we took a 3 mile walk into one of the sites that had never been excavated. It was very early in order to beat the heat, so we were the only ones there. When we got to the site, we stopped and just listened. We could almost "hear" the hustle and bustle of the people...children playing...drums beating. It was wonderful. So often in our everyday lives we don't take the time to stop and listen to what our Father is saying to us. Thank you, LuLu for this post. That sent chills up & down me, Vannie! Thank you for sharing! Blessings to you both, My Friend! A good listener is hard to find and a treasure to cherish. I'm glad you've taken us there this morning, Lulu. Truly a very good way to start this brand new week. For many people, listening to music is a daily part of their life. That's why they use earphones when they're walking, using public transport, or even at the gym. However, what can happen when you're wearing earphones for too long?